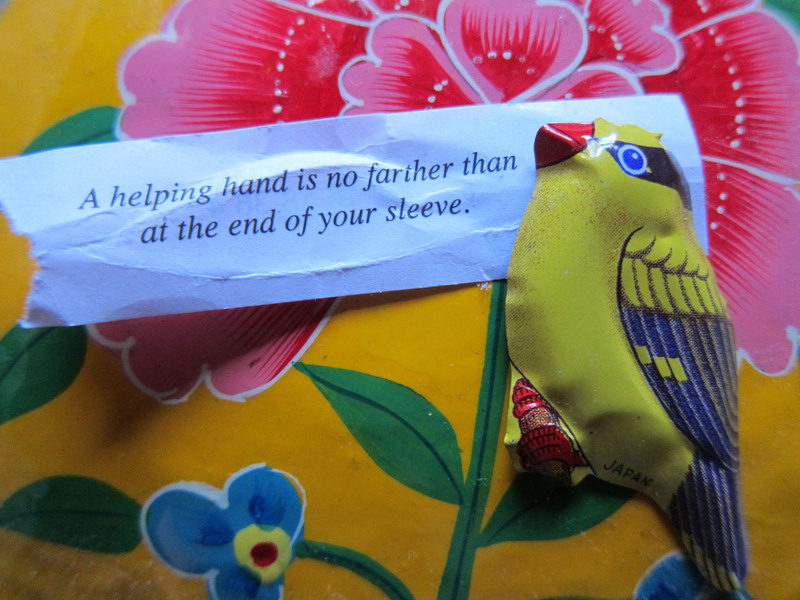 I LOVE fortune cookies – they’re like a tasty I-Ching, but less complicated. That’s amazing. Because I’ve just come home from work to find my FATHER has totally overhauled my garden. Wow, that’s one smart cookie. Okay, here goes. Q. What will I do about that email I forwarded where I thought I’d removed some of the earlier conversation, but actually hadn’t? A. Your popularity increases once you express your desires. Interpretation: They’ll find it really endearing and I’m not in trouble. Q. Should I take on this new work project? A. Not to risk loving is the greatest risk of all. Interpretation: Yes; I’ll be able to look back on it when I’m old and reminisce about how life-affirmingly difficult it was. Q. Will I die horribly? A. You will always get what you want through your charm and personality. Interpretation: Only if I want to. Which is my biggest fear – thanks, fortune cookie. Keeper? Feel a bit sick now, but could just do one each day for breakfast. I’ve still got loads left, so let me know if you want me to ask one a question and eat it for you. Hey Jen, can you please ask a fortune cookie about how loose I’m going to get at my work Christmas party. Before asking, please tell the fortune cookie that booze is laid on from 12-6pm.